Buying local proteins for a crowd can be expensive. Hosting a cookout doesn’t have to be though. We will show you how to pair your meat with 1:1 ratio of vegetables to enhance the flavor as well as stretch the yield. Ground Turkey with Zucchini, Ground Beef with Mushroom and Ground Pork with Kimchee and Rice. 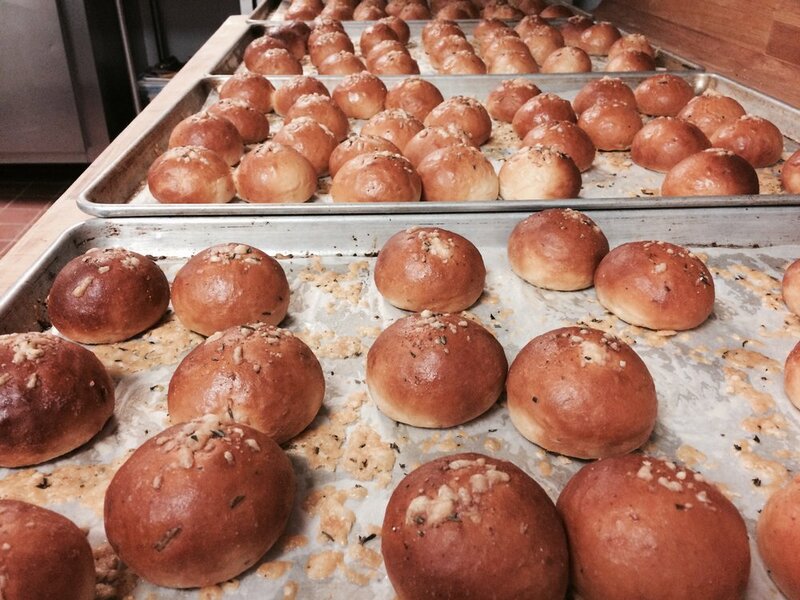 We will Shape and Bake some homemade burger buns while we prep the rest. Served with a drink from the deers head inn. Participants will eat and drink their way through the class, laugh, learn and enjoy the amazing ambiance (and bar!) at the fabulous Deers Head Inn in Elizabethtown. Registration fee includes one paired drink, additional options will be available for purchase during the event from the Inn’s well-stocked bar. We are thrilled to partner with the Inn to offer a two-part cooking series this summer on Monday evenings through June and August. Sign up for one or more evenings and join us for a summer of incredible local-food experiences. Luke Ayres joins Craigardan in 2019 as our first Culinary Program Manager and Head Chef. Luke received a BA in studio arts in Minneapolis. Afterward, he promptly moved to NYC and spent ten years hustling and bustling before moving to the Adirondacks in 2010 with his wife to open Green Point Foods Market & Cafe. Luke went on to become the Pastry Chef at the Lake Placid Lodge. Luke and his family live in beautiful Keene Valley.